Empowering the youth of today for life tomorrow. To empower today's youth by equipping them with linguistic and cultural immersive experiences that will positively impact their future. ultimateXchange is a nonprofit organization that seeks to provide unique opportunities that aid students in learning and improving their English. We believe learning language in an active and safe environment will stimulate and inspire students in their English learning journey. The schools do well in teaching students English grammar, reading, writing, and spelling while ultimateXchange exists to take the student’s language learning experience to the next level. As we provide opportunities for students to fully immerse themselves in the English language, their linguistic abilities will be challenged and ultimately grow. English abilities from the day they first arrived to having been with them for a year. The transition that took place in their lives after being immersed in the English language was unbelievable. After having been immersed themselves in the Italian language and culture for over a year, Nick and Shannan fell completely in love with the people of Italy, and an idea was born. They dreamed of developing a program where they could help provide a special opportunity for Italian students to have a full-immersion language and cultural experience in the USA and also in Italy. Later Nick and Shannan learned of a unique type of exchange program, which had a slightly different twist to it. Instead of the students spending an entire year in the USA, they would just spend the month of July in the USA with host families. The students’ month of full immersion English would be jam packed with fun activities and unforgettable memories as they simultaneously expand their linguistic abilities. And in addition to the month abroad, students would have the opportunity to practice their English on a regular basis through English clubs, outings, and other activities that put their English into action. Nick and Shannan Copland are the founders of ultimateXchange. Nick grew up in a family that hosted over 30 exchange students from around the world while Shannan was raised in the multi-cultural San Francisco Bay Area. They met in an organization teaching character education to students all across the United States. Since being married in 2008 they have lived cross-culturally in two European countries. Nick and Shannan have each received their bachelor degrees with Nick’s focus on Cross-Cultural Studies and Shannan’s specialization in Counseling. Together they have been working with students since 2004 in a myriad of different ways. One of Nick’s favorite experiences in life was working as a host for Carnival Cruise Lines. He feels most energized when he is able to immerse himself in the outdoors. Shannan is a singer-songwriter who enjoys inspiring and collaborating with other musicians. 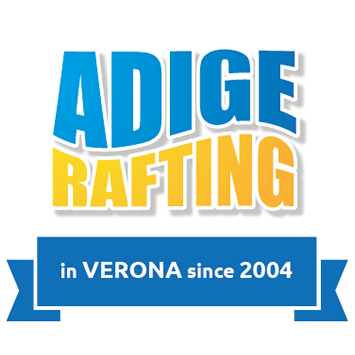 They have lived in Italy since 2012 and affectionately call Verona, Italy their home. Davide was born in Napoli and moved to Milan at the age of 13 where he attended high school and also university where studied and graduated with a degree in Veterinary Medicine. He works as the Marketing Manager in the cardiovascular department of Sanofi. Davide is actively involved in music and is a “Contemporary Gospel” singer, and is the lead singer of the Sanofi Cover Band - a group that promotes a message of hope through music against cardiovascular diseases. From his marriage with a Dutch girl, Davide has two wonderful children, Karen and Alexander. Karen was born and grew up in Italy, but when she was 14, together with her family, she returned to the UK where she finished her studies and took a degree in Italian Studies. After university she discovered the world of EFL, specialised and started her career in a multilingual school in Yorkshire, meeting and working with Swiss, Norwegian, Japanese and students of many other languages. In 1989 she returned to Italy to work in Milan with the British Council. In 1992 she married Marco (whom she'd met during an Erasmus year) and she has now lived in Verona for over 25 years. Their three children are bilingual and one of the girls is studying at university in Bristol. She loves her job and the opportunity it gives her to meet and develop friendships. In her free time she enjoys spending time with her family, reading and walking the dog. British born Emma first came to Italy as a teenager and fell in love with the country. After graduating from the University of Liverpool, in History, she moved to Verona in 2011 to teach English. She has since made Verona her home and thoroughly enjoys living in Italy and experiencing life in a different country. Especially driving around on her Vespa. She has a passion for meeting new people and learning about different cultures. Through university she taught at an English Summer camp in Moldova in 2009 and returned in 2010. She is a keen traveller, visiting many parts of Europe and Brazil, and is often planning trips to visit new places. She is also an enthusiastic musician and runner. 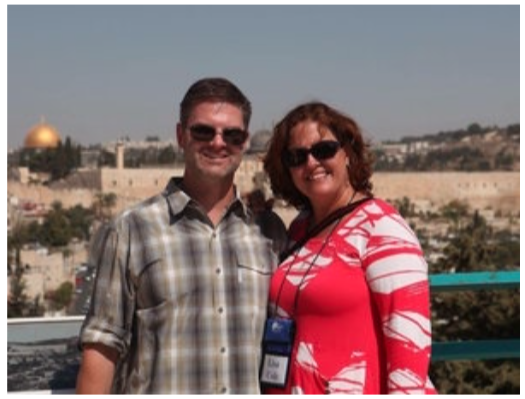 Ralph and his wife, Vicki, became passionate about Verona after living there for three months in 2012. They enjoy traveling as well as experiencing other cultures. Ralph has traveled to Mexico, Eastern Caribbean, British Columbia, Canada, Caracas, Venezuela, through out the US as well as Ireland, and Italy. More important than site seeing, he desires to live amongst the communities he visits. He craves learning about their cultures, lifestyles and traditions. His views on life are expanded as he comes to understand other cultures. Verona, Italy has especially captured his heart. He fell in love with the people, lifestyle, culture, and history of the area. Ralph has a passion for travel and street photography. He also enjoys outdoor activities, especially mountain/road biking, hiking, and kiting. Ralph lives for being stretched and enjoys adventure. Jeremy Cook is excited to join the ultimateXchange team and be a part of something so globally exciting. Jeremy grew up in a small family in Memphis, Tennessee, USA. He attended the University of Memphis and Tennessee Technological University in Cookeville Tennessee - where he currently resides with his wife Brooke, and their six wonderful kids. Through the years he has gained wonderful experiences meeting many different nationalities beginning as he worked in Yellow Stone National Park in Wyoming and Denali National Park, Alaska. In 2009, Jeremy took a trip to Turkey that ignited in him a deeper interest in world cultures. Upon returning from this trip Brooke and Jeremy began hosting international students in their home and have had dozens of students learning the English language live with their family from over twelve different nations. Jeremy has worked with FLS International since 2009 helping host students, is also serving with International Friends on the campus of Tennessee Technological University, and has been a teacher and servant at a church since 2009. Jeremy has traveled to 15 different countries, has visited Verona, Italy twice, and enjoys learning about cultures around the world. Lisa was born and raised in the US midwest but has always had a passion for Italy. She and her husband, Matt, enjoy traveling the world. They visited Verona for the first time Summer of 2016 and immediately fell in love with the people and the city. She has also spent time in London, France, Czech Republic, Poland, Haiti, Israel and the Caribbean. Lisa also has a passion for students that was ignited in Knoxville, Tennessee where she was a mentor in schools and a small group leader at church. 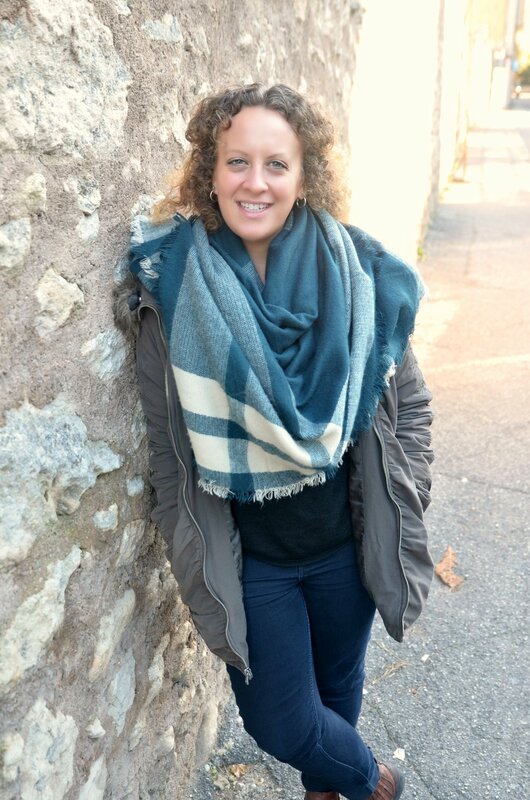 Her passion expanded into Haiti, where she founded a non-profit to bring hot lunches to schools in Port-Au-Prince, and into Verona, Italy with ultimateXchange. Lisa lives with her husband Matt and 3 children Nathan, Annalise, and Charlotte in Knoxville, Tennessee. Their 20 year marriage has taken them to quite a few cities, living in Chicago, Nashville, Minneapolis, Seattle, and Phoenix. She loves her job and volunteers in the community quite a bit so their plan is to stay in Knoxville until all 3 children graduate high school. And then who knows - maybe retirement in Verona. Darlene’s world began to expand when she spent a summer in Denmark while in college. As a young adult she lived in Germany for around two years. From there, she and her husband hosted 37 exchange students from 17 different countries within a span of 30 years. She worked as a trained representative for two different organizations and attended US and international conferences. Darlene’s responsibilities included interviewing and training host families, checking their backgrounds, and orienting newly arrived students. With the students she led them on trips and learning activities and then trained them through a re-entry process into their own culture prior to their return home. Darlene is currently a facilitator for an expat group in the US that focuses on adaptation to American culture and English improvement. Darlene and her husband, Eric, have three grown children and currently reside in the Silicon Valley in California. When not entertaining, Darlene likes to craft handmade greeting cards, make party decorations and do volunteer work at their church.